I have a long association with growing my own food, however, I've never felt as though I've got the hang of it and still feel like a complete novice. I'll be posting soon about how, what and where we grow in full detail and I'll be setting down what we plan to do over the coming months. The hubs has only really got involved since we got together, although he comes from a long line of grocers so he does have interest and would also like to become more self-sufficient. 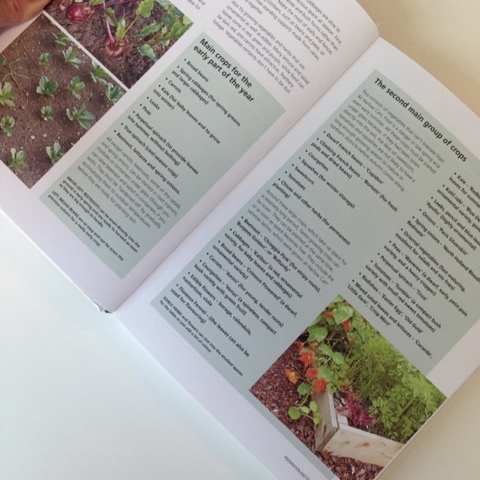 We've had this book for a couple of years, we treated ourselves after watching the accompanying series and have used aspects of it for our planting, particularly the section on square foot gardening which we found really helpful when we tried that method of growing. Our main goal is to be able to have more produce all year round, be it growing with the seasons or food storage, I'd love to be able to have beautiful salads available in the greenhouse all year rather than buying them in a bag from the supermarket. What I love about this book is that it provides information about what to grow when, how to succession grow and how you can extend the seasons, those things that I really feel I need help with. Our plan for 2014 is to concentrate on things that we use a lot of or that we can somehow store for later use. 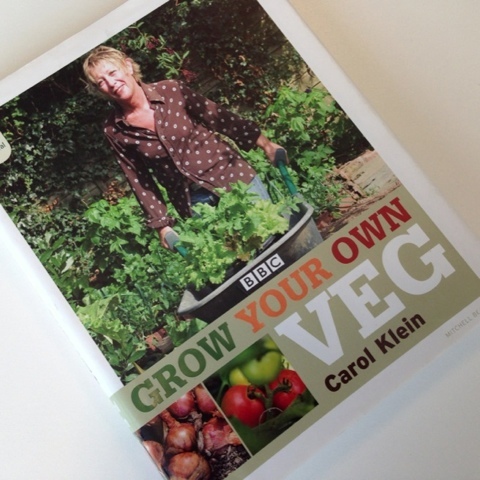 Personally I really want to get to grips with successional sowing and making the most of the greenhouse. I feel that in the past the produce has all be available at once and we have far too much to eat, we become so sick of it that the last thing we want to do is to store it! The thought of canned pasta and pesto sauce during the winter really appeals to me, although in the past I have frozen sauces I have never canned so this will be new to us. We'll be using this book in the next couple of months to formulate our plan for 2014, I'm so glad that we have this resource and expect we will turn to it many times in the future.